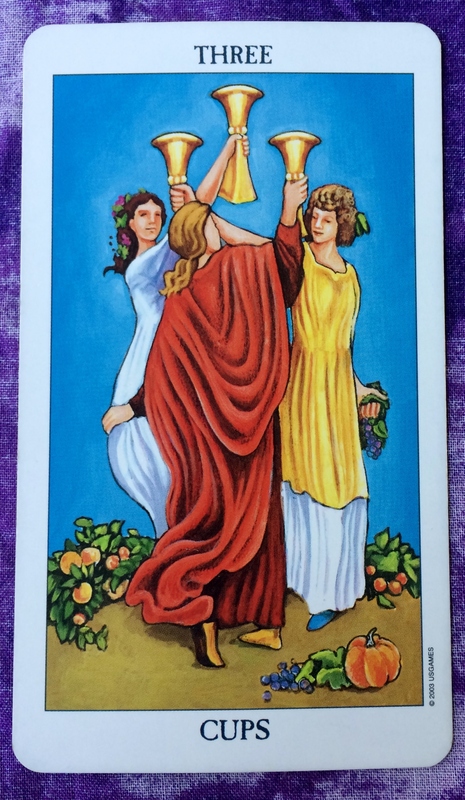 The Tarot card of the day is the Three of Cups. This is a card about celebrating your accomplishments. This is in line with yesterday’s card, which showed that you can now relax and enjoy the fruits of your hard work. So if you have a friend or two who know about your struggles, get together or at least reach out to say hello. Make an actual or symbolic toast to all the things going right in your life today. If a get-together is not possible, then treat yourself to an hour at the masseuse, a touch-up at the hair salon, or a piece of chocolate. Pat yourself on the back and know that in this moment, everything is good.